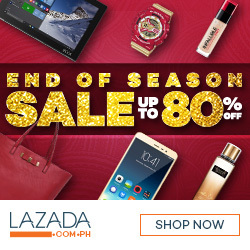 What began as a small retail store in Ramon Magsaysay, Davao City way back 1978, has risen up to stand tall amongst the other leading stores in Mindanao with more than 3,000 employees across Davao, Tagum, Compostela valley and even in Puerto Princesa, Plawan. With countless shopping treats and a commitment to create a Wellness advocacy for its patrons , another exciting milestone is yet to unfold for NCCC this December 01, 2016. “NCCC is constantly looking for innovative ways to improve what we are doing in order to satisfy the needs of our shoppers and bring the shopping experience to a rewarding level. We are glad to be renowned as one of the market leaders in Mindanao, ” says Melanie Bacala, LTS Retail's Associate Vice-President. 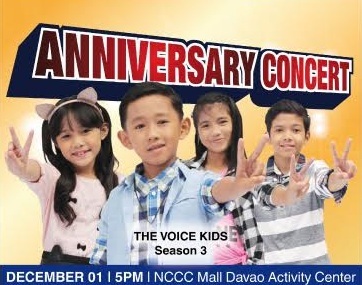 Apart from various Anniversary giveaways and special Anniversary discounts, NCCC shoppers can look forward to a fun entertainment as The Voice Kids Season 3: Antonette, Joshua, Justin and Yessha take center stage to showcase their world-class talents on December 01, 5:00pm @ the Activity Center, NCCC Mall Davao. Another highlight is the Raffle Promo where shoppers can grab an Anniversary Coupon with corresponding raffle entry for every Php300 purchase inclusive of Php100 worth of Participating Products at NCCC Supermarket Mall Davao, Main Magsaysay & Centerpoint from November 15 – December 01. “There will be lots of freebies such as Christmas baskets, Instant groceries and FREE Cinema tickets to be given away during the event. Plus, the Barkada with most no. of NCCC Supermarket shopping receipts earned during promo period will win Php8,000 worth of Noche Buena Party package...We want to give our patrons more reason to have fun while making the most of the holiday season..” exclaims Marketing-Public Relations Head, Janna Mutalib. On the same day, HB1 Pharmacy is set to strengthen its health and wellness advocacy towards Dabawenyos with its Anniversary Medical Caravan from 7am - 2pm at NCCC Mall Davao, Activity Center. “This would be a rare opportunity to interact directly with the health and wellness professionals and learn more about their family's health and physical fitness ” states Marketing Officer, Andrea Leyson. Among the FREE Medical services that shoppers can avail include Doctor and Pedia Consultation, Nerve Screening, FBS, Bone Scanning, Anemia Screening, BMI, Lipid Profile, Body Massage and healthy food sampling.